ITB - Intermediate Transfer Belt assembly. This transfer kit includes a transfer belt assembly for the HP Color LaserJet M553 , M552, or M577 series series printers . 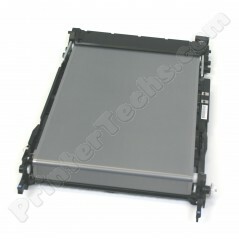 HP part# B5L24-67901 . You can save money by purchasing the transfer kit on exchange -- see exchange terms in details below. ITB - Intermediate Transfer Belt assembly. This transfer kit includes a transfer belt assembly for the HP Color LaserJet M553 series series printers . HP part# B5L24-67901 . You can save money by purchasing the transfer kit on exchange -- see exchange terms in details below.